While Super Bowl LIII was a snooze fest, there were a few commercials that stood out Sunday night. Quite frankly, if there was a dog, I was paying attention. 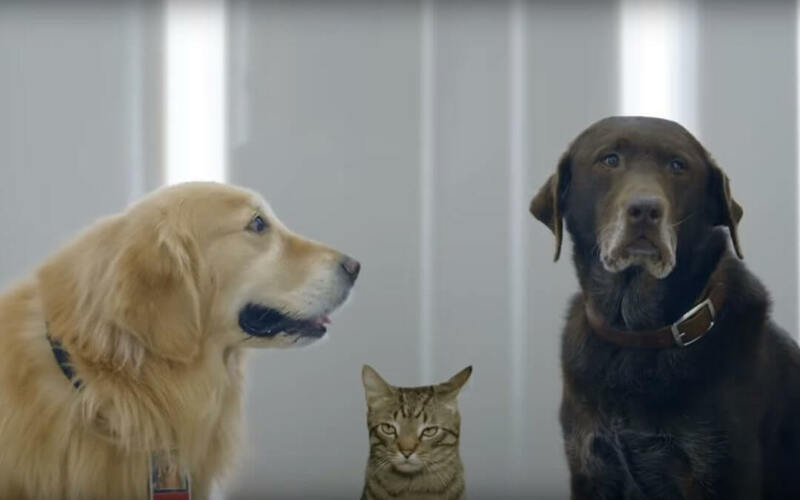 From pet bowls to a “failed” Amazon Alexa prototype, watch the ads that featured doggos again. WeatherTech is known for their high quality car mats, but that wasn’t the message they were going for in their Super Bowl spot. Instead the company was promoting their line of PetComfort feeding system products. Of course the R&D team consisted of furry product testers. Avocados from Mexico flipped the dog show tradition on its head and introduced the Human Canine Show. Humans had to do tricks with the winner receiving the ultimate avocado feast. The dogs trained them well. Amazon is incorporating their virtual assistant Alexa into more products these days. However, some of those products didn’t pan out as well as they would have hoped, Alexa inside a dog collar being one of them.